1930’s America: 15 year-old Jean moves to the rural town of Poor Prairie to look after her volatile younger cousin, Almeda. When a teacher with a mysterious past arrives at their high school, he enlists the girls of Poor Prairie to put together a basketball team. The game becomes a means for the girls to escape the dreary realities of Depression-era America. 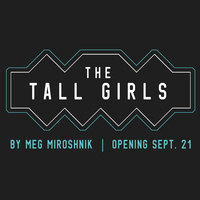 "The Tall Girls" examines the struggles of the team to be taken seriously in a time where women's sports were looked at as a novelty rather than a true athletic endeavor. By Meg Miroshnik; directed by Anna Pieri.